Its only been three weeks since we arrived in Europe. It’s the kids’ first week-long break from school and Heleen took two days’ leave to give us our first long-weekend. And it being the rugby world-cup final, the logic destination must obviously be France, that clichéd beauty of a destination. Heleen and I have toured France on a few occasions before and know Paris well, have done the Nice, Antibes and Monaco stretch more than once and have camped in the Bourgogne areas of Dijon, Grenoble, Lyon and the Alps of Mont Blanc, Annecy and Megeve. The north east however, which is the world of champagne we have not visited and thus it was also perfect that Champagne/Ardenne was the nearest part of France to our home in Bonn. 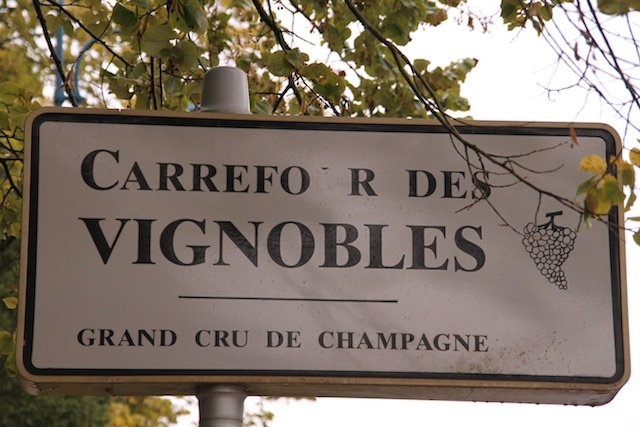 Epernay is the main champagne town and this is where we headed. Now the one thing about the French is that they are passionate and classy. Though they have true passion here it did not prove to be a rugby area but maybe more the Café scene and champagne sipping passing of time. So for me, a true rugby-loving-All-Black-hating Afrikaner a slight disappointment to have only about 8 other people in the café (not bar or pub) actually watching the rugby and they were from Aus! It was France in the final remember! The rest of the café were just happy to sip their champagne and “mange” on their cheeses and croissants! But nonetheless, we did watch the rugby final in a beautiful brasserie (gemembeg to “g” your “r” when in Fgance) before starting to explore the sights, sounds and tastes of Epernay. This obviously is where champagne is still legally called champagne (and not bubbly or “vonkelwyn”!) and where the likes of one Claude Moet first produced champagne in 1743 which was served to kings and emperors across the world, and still is! We visited the Moet et Chandon cellars, which is in the town and not in the country side as we are used to in the wine farms of the Cape. But the surprise here is that you enter the cellars in the middle of the town (picture, say Dorpstraat in Stellenbosch) and then find yourself in 28km of underground cellars and pathways in the chalk underworld of Epernay where the production happens. I must admit that the term “production” is to me a harsh term when talking wine and champagne, as production in my understanding conjures actions of sweat, hardly synonymous with the long slow process of eventually sipping on these delicacies! In these same cellars the likes of Napoleon visited and drank champagne with Messieurs Moet and Chandon. Interesting fact is that not even these large cellars own all the vineyards from which they get their grapes. They also buy in from independent little farmers, but there is a grading system which applies to the villages from which the grapes come. And these villages declare their status when you enter the town. The highest quality or status is Grand Cru while the next best status is Primer Cru. The term “cru” actually refers to town or village. I never knew that. A ten minute drive out of Epernay is the most gorgeous little cru (village) Hautvillers. Please, concentrate on this pronunciation for a minute! The pronunciation is (try with Afrikaans in mind) ”Owieje”. Stunning! Hautvillers (Owieje) is the home of the original Dom Perignon Benedictine abbey and this is where we experienced one of those quick little travel gems which you afterwards realise you did not make enough use of. But then it’s too late! After strolling through the abbey and still enjoying the incredible history and age of the building before us, a man suddenly starts babbling away to Heleen and me. He just returned from a 10 km run, is totally out of breath and sort of stretching after his run while telling us the tale of two of the pillars of the abbey before us which are original and more than 800 years old, the tiles in the entrance as well and the roof being fixed after the 100 year war (1337 to 1453, I know its not 100 years) with money donated by Louis IV. Then he disappears through one of the side doors into the abbey. It seems he is the current clergyman servicing in the abbey. I wish we could sit down and chat to this man for hours more. Reims is the larger town of the area and though we preferred the little roads I needed to visit the Notre-Dame de Reims cathedral. I’m not a historian and don’t know all the facts, numbers and stories, but as I grow older (becoming part of history according to my kids) I enjoy understanding “what happened” when I visit new places. In Europe, I should probably refer to “first visits” rather to new places! The construction of Notre-Dame de Reims started in May 1211! On the same site and on ancient Roman baths, a Paleochristian cathedral was erected which was the first building in the western world which was dedicated to the Virgin Mary. From the coronation of Henri 1st in 1027 the kings of France all came to Reims to be crowned; that is to say 30 kings in total except Louis VI, Henri IV and Louis XVIII. And the funny thing about this cathedral, which is more than 800 years old, is that it was never finished! Work stopped in 1516 before the spires that had been planned were erected. It is still not completed. Back onto the country roads is where we found a number of World War cemeteries where numerous battles took place. Cruising through this part of France it is truly evident that it has always been an area where conflict, destruction and deep emotional pain reigned, though the current setting is stunningly beautiful with planted fields of various agricultural produce and scattered little villages all over. The trail of Louis XVI fleeing from Madame Guillotine leads through this lanscape. Louis and Marie Antoinette attempted to escape and where en-route to Varennes when they were recognised in Sainte-Menehould apparently from his face on the French coins. A short distance from here is where a year later in the battle of Valmy the new French Government (post the overthrown kingdom by revolution) successfully stopped an attempted invasion from Prussia which led to the birth of the Republic of France. 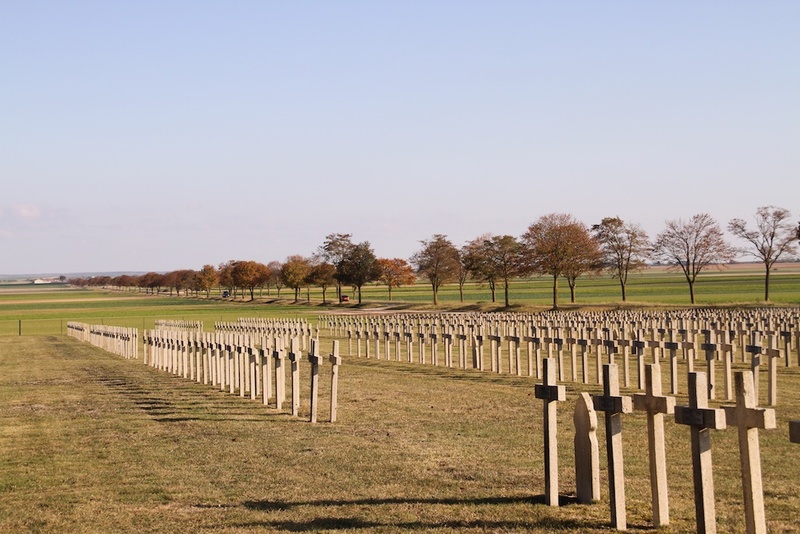 More recently, many World War 1 and 2 battles took place here and there are many graveyards in remembrance of the many men who lost their lives here. As Johannes Kerkorrel so eloquently sings “miljoene jong soldate het gebloei in hierdie klei, en elke keer as die wereldoorlog afspeel is dit hier!” (Europhobia, Getransformeer). Since I was very small I truly enjoyed the smaller roads, lesser travelled and through the little towns. It takes longer I know, but I regard that as so much part of the enjoyment, the clichéd “it’s the journey not the destination”. So I must admit that I feel truly blessed when my kids demand “klein paadjies” on weekends like this. And “klein paadjies” it was al the way back through rural Champagne/Ardenne and Belgium to Bonn – 9 hours to cover 430km in the company of mainly Valiant, Koos, Jan and Johhny K. It did include a sit-in “plat de jour” existing of duck for Cara and me in Vouviers and delicious sugar Belgian waffles known as gaufre in the French areas in Durbuy. So, after three weeks in Germany, we had our first weekend away, one of the reasons we embarked on the Europe opportunity. We enjoyed a bit of France and Belgium and I realised that we have so many things to see, read and understand. Furthermore, its not about ticking off destinations on some list. There’s centuries and generations of serious history to be discovered, there’s many different happenings to attend and there’s photos to be taken, many many photos to be taken. After the initial change shock, I’m now seriously looking forward to discovering Europe. And I realised that the clichéd beauty of France is not clichéd at all, its truly deserved!